‘Innocent‘ range of veg pots and drinks1 was taken over by Coca-Cola in 2013 and the then-boss, Paul Brown, decided to leave the company and go it alone with a range of ready meals called ‘BOL‘ (pronounced “bowl”) 2 . However, going from Innocent to BOL didn’t feel such an innocent move until he decided in 2017 to cut out all fish and meat products from his BOL range, and all dairy products from July 2018. This appears to be one more company joining the tide of change towards a plant-based diet. 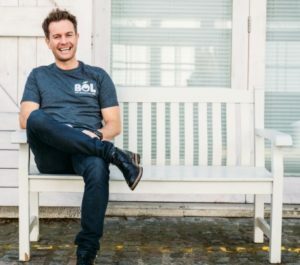 An article in the Telegraph 3 recounts how Paul Brown, who started the BOL business in 2015, saw his profits drop by half ‘overnight’ in 2017 after ditching the meat and fish options. So why did he decide to get rid of the animal products? Despite implementing some unpopular changes, the BOL business recorded a turnover of £2.8 m in the first quarter of 2018, an increase of 180% on the same period in 2017, and is “on track” to make £10 m by the end of 2018. 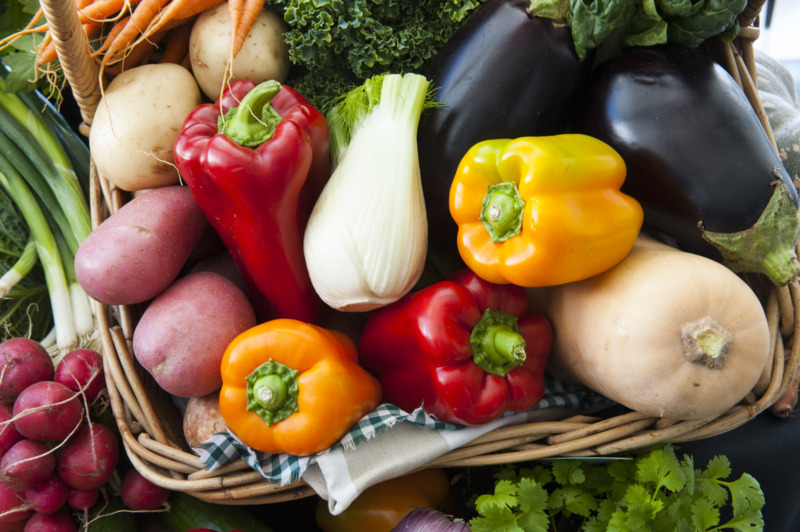 It’s forecasting retail sales of £20 m in 2019 based on the projected growth of the plant-based category. And looking at the latest research into the devastating and unsustainable impact that animal farming is having on our fellow-creatures and on the environment, it looks like Paul Brown may not be the last business leader to make the shift to plant-based foods. A recent study by researchers at Oxford University 5 suggested that there is sufficient evidence to state that the single best way to reduce your negative environmental impact on the planet is to become a vegan. This was the most comprehensive study on the matter to date, with researchers looking at data covering 40 different agricultural goods produced by more than 38,000 farms in around 120 countries. Together, the farms studied account for about 90% of the food that is consumed throughout the world. They then assessed the products’ impacts from farm to table. 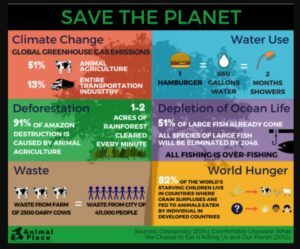 The results indicate that if meat and dairy consumption were eliminated, global farmland could be cut by more than 75% and still provide enough food for the world’s population. And this isn’t even taking into account that a plant-based diet would prevent the decimation of the nearly-depleted fish stocks in our rivers, lakes and oceans – animals that have just as much right to life as we do. “A vegan diet is probably the single biggest way to reduce your impact on planet Earth, not just greenhouse gases, but global acidification, eutrophication 6 , land use and water use,” lead researcher Joseph Poore of Oxford’s School of Geography and Environment told The Guardian 7 . The study found that even sustainably-produced meat and dairy products had a bigger environmental impact than plant-based products. “Impacts of the lowest-impact animal products typically exceed those of vegetable substitutes,” the study states. 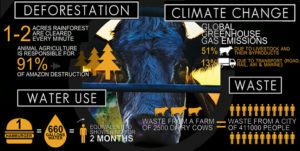 An example of this is that even the lowest impact beef contributes six times more greenhouse gases and uses 36 times more land than plant proteins such as peas. “At present, it’s better to change what you consume, rather than trying to purchase sustainable animal products. So plant-based diets are the best way to reduce foods impacts,” Poore told Newsweek 8 . For me, it’s really encouraging to read about companies like BOL and business people like Paul Brown, being prepared to put principles before profits when it comes to the exploitation of animals and the environment. And, of course, this is without any consideration of the wonderful effect that eating a wholefood plant-based diet can have for the global health of the human race. It’s unusual for me to mention anything other than the human health benefits of a WFPBD, but this blog is an exception. 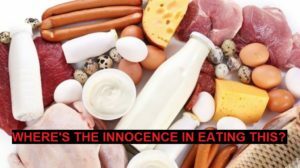 When a prestigious report comes out that so clearly damns the practice of raising animals instead of plants to feed the increasing human world population, it’s probably worth a nod in the direction of the other vitally important rewards of a plant-based diet – animal welfare and environmental protection. 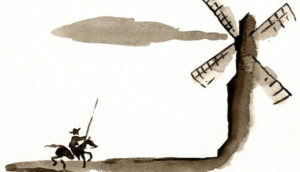 Or am I just doing a ‘Don Quixote’?